This is the last in my series of Pinterest tutorials. Here are links for Pinterest Tutorial #1, Pinterest Tutorial #2, Pinterest Tutorial #3. Today I’ll be answering the two main questions I’ve asked been asked in the Etsy forums about Pinterest. #1. How do I get more Pinterest followers. At the time of this writing I supposedly have 145 followers, and I’m following 107. Now, I’m pretty sure the followers number is incorrect, but I do know there are a lot more people following me than there are people I follow. I have a very simple approach to Pinterest. Much like Twitter, I think the main reason I have quite a few followers is that I find interesting and new things to Pin. If you are passive and mainly Repin and Like then you are participating in the community, but not actively providing new content. I get my pins from a number of sources. 1. Stumbleupon. Stumbleupon is “discovery engine that finds the best of the web”. When I see something on there that’s cool, I pin it. 2. Twitter. People are always posting links to cool blogs and craft projects on Twitter. 3. Facebook. I have a few friends who post interesting pictures and links on their wall. 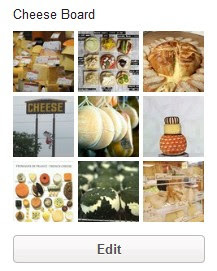 Pinterest won’t let you pin directly from Facebook, so sometimes I have to do a Google search to find the original source the image is taken from. 4. G+. Same thing here, lots of interesting links and picture sharing on G+. 4. Blogs. A lot of blogs have a “blogs I follow” list. Click on a few of those, and chances are there’ll be an interesting picture there somewhere. or “Originally pinned by” if there has been several generations of repins. Consistency has two meanings here. The first is that you should Pin regularly. The second is that you should use this service with your branding in mind. What’s the image you’re trying to portray? Who’s your target audience? My target audience likes quirky, cute and geeky things. So, a few of my boards include a cute animals board, a Doctor Who Board, and a Cheese Board. But if you sell expensive jewelry you’ll probably want to attract the attention of your target audience and get the right followers with pins about fashion or sophisticated home decor. #2. Is it ok to pin my own items? I have pinned 231 items, only 4 of those are my own stuff. So that’s about 1 in 50. I pin my items to a board called “My Wooly Creations”. A popular Pinterest user, Ayca,http://pinterest.com/ayca_etsy/ has pinned 650 items, 23 of them are her own designs, and she pins them to the board “Some of my work”. Another approach is to find someone whose work you like, and suggest that the two of you occasionally “pin” each others’ items. For Etsy sellers, you could also join a Pinterest teams. I hope this Tutorial has helped! If you have specific account related questions you can probably find the answer on Pinterest’s help page, but it you have a general questions feel free to ask me in the comments section of this post! Need an invite to Pinterest? Check out this post. I really enjoyed reading your article! I’ve been looking for resources to help me navigate my way thru building a successful Pinterest following. My first favorite has been through the Pinleague group which has been really helpful and now this site which is my new favorite. Thanks! Thanks for the tips. Trying to learn the ins and outs as I just joined Pinterest. if you care to come by. As always, spot-on helpful and useful information. I know much more than I knew there was to know, thanks to you! Excellent points! Just got started with Pinterst yesterday and so far – I LOVE IT! looking forward to doing lots and lots more pinning! Pinterest also asks that users cite their sources. If it’s a repin an the original poster did not cite you’re stuck but they want everyone to give the effort to credit whenever possible. Yes, I agree. Definitely cite those sources! You have a Doctor Who board? Going to follow right now. Thanks for the info. I had no idea what it’s all about and now I’m clearer on this. I just joined pinterest this past week and am pinning like crazy. It is so much fun. I need some followers ;_; so if you like rustics, nature, and neutrals- check mine out! Thanks for tips. I like pinterest more and more. Aweomse article. I joined pinterest 2 months ago. I find this platform very interesting for business. Nice article but nothing I didn’t know before.I think you just have to do it right.The site is designed to create interest based community around the web.So share things you really care and passionate about,things you are interested in.Visually attractive images and diverse boards help too. I just joined last week!